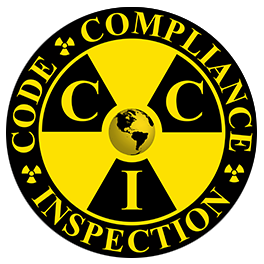 Code Compliance Inspection offers comprehensive inspection services for industrial clients. 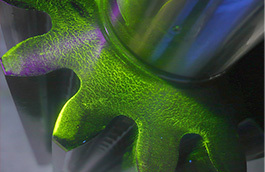 Our industrial inspection services include: Magnetic Particle Inspection, Liquid Penetrant Testing, Radiographic Testing and Visual Inspections. 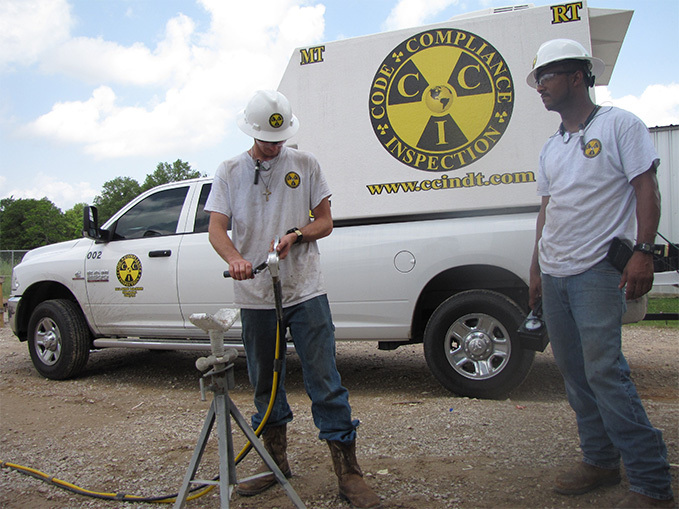 Our inspection services are deployed at fabrication shops, pipelines and operating facilities. 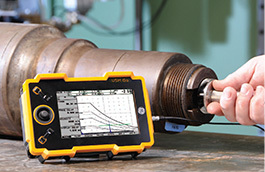 Nondestructive testing or Non-destructive testing (NDT) is a wide group of analysis techniques used in science and industry to evaluate the properties of a material, component or system without causing damage. 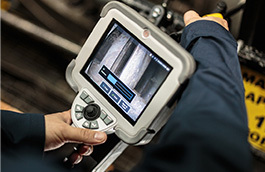 The terms Nondestructive examination (NDE), Nondestructive inspection (NDI), and Nondestructive evaluation (NDE) are also commonly used to describe this technology. 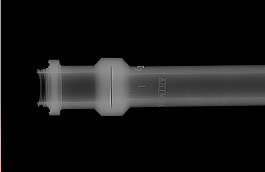 Because NDT does not permanently alter the article being inspected, it is a highly valuable technique that can save both money and time in product evaluation, troubleshooting, and research. 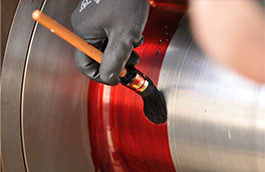 Common NDT methods include ultrasonic, magnetic particle, liquid penetrant and radiographic. NDT is used in a variety of settings that covers a wide range of industrial activity, with new NDT methods and applications, being continuously developed. Non-destructive testing methods are routinely applied in industries where a failure of a component would cause significant hazard or economic loss, such as in transportation, pressure vessels, building structures, piping, and hoisting equipment.